Vastu For Hospitals: In olden days Doctor is treated as visible God, that is why this proverb was saying by many elders "Vaidyo Narayano Hari", now a days Nursing homes and hospitals are getting popular and many Nursing Homes are coming up daily in the cities. The fame and success of nursing homes or dispensary or hospitals may decided by the dedication of Doctors and vaasthu strength of its building. Even today also some of our elders says that some doctor touches their hand, immediately their fever will come down and turning their health to be good, it is nothing but trust, faith, hand power of such doctor, still it is observing in many towns, villages and even cities too. Some doctors are maintaining such techniques. Many doctors in our society may never accept following the Vastu Shastra., to be frank, the educated people may not believe these subjects like Vastu, astrology etc, but astonishingly nowadays doctors are following Vaastu, and construct their houses / hospitals / nursing homes / clinic according to vastu shastra principles, most of the hospitals, nursing homes in these days built according to Vaastu shastra. Even many famous and skilled doctors have closed their hospitals as their buildings were against the vaasthu. So they faced a lot of problems in the maintenance and non-availability of staff and infrastructure failure, patients are not interested visiting, issues came through treatment, galata, troubles facing in the name of many known and unknown issues and finally closed their hospital/clinic down gradually. When Hospitals or Nursing homes are constructed as per Vasthu Shastra, they will flourish well and get the popularity very soon. The patients will also be cured very quickly and effectively. As we have seen more hospitals, so many now facing strict competition, now a days doctors are moving against time, that means they are working nearly 16 to 18 hours at hospitals, but many of them are not getting what they are expecting. Why all these happens, because of bad vastu of that building or Nursing Home. In most of the cases, vaastu at hospitals is not according to vastu principles, those hospitals, nursing homes, super specialty hospitals are at the stage of closing scene, forcibly some of the doctors group or managing partner of the hospice is getting loans and running hospitals, but its only a very short period process, (this matter is from www.subhavaastu.com) how can the hospice ran with loans for a long period, never. But after passing days the managing partner or head of the institution opens their eyes and showing their building to the Vastu Pandits, what is the benefit if they show the hospital building at that stage, heavy loss of finance, strain, bad name in the society. If the financial position is weak, generally, ill feelings arise in between management, sometimes it leads to quarrels, groups, court cases, panchayats, manhandling, divisions, overpowering etc happens. Its always better to show the site to one experienced vastu expert before constructing a hospital or nursing home, get one good plan from engineer and don't compromise to show that plan to the Vastu Pandit and get appropriated vastu suggestions and do necessary precautions as directed by the vastu consultant, this system will always enlighten the hospital history in the society, if everything is done according to vastu shastra then that hospital or nursing home get good name and fame in the society, have a gentle talk in between the surrounding area and it brings lots of money to the proprietor i.e., head of the doctor. Consultation or Consulting Room or Chamber : The doctor's consulting room is best when it is located in the Southwest (Southwest facing house vastu) or South or West (West facing house vastu). Generally, Northwest (Northwest Facing House Vastu) side sitting may create some irritating situations, if the building is constructed without vastu guidance, then you may do one thing, take white paper and draw your hospital plan and find out the Southwest portion of that property and sit there facing towards East. Diagnose the patients by facing Northeast (Northeast facing house vastu) or East (East facing house vastu) or the last option is North (North Facing House Vastu) direction. 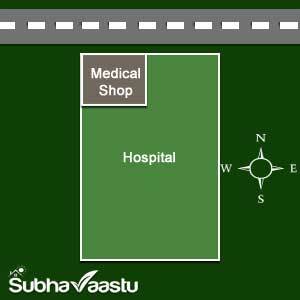 If the property is built according to vaasthu principles then, in this image we have shown with 1,2,3 and 4, the last 4 will be the Northwest part of the hospital, so doctor may sit in this part if the Hospital is facing towards North direction. Northeast will be the entrance for all, and doctor will sits towards Northwest part or West part. No doubt Southwest part is also good for doctor special consulting room. At consultation room Doctor should sit at Southwest or south or west side only, and the patients sit before him, 'L' shape is more important at Nursing Home head doctors consultation room, this 'L' shape should be raised only to the northeast direction. This may generally or sometimes definitely brings prosperity to the head of the Institution or Doctor. Medical Equipment Room : This should be located in the South-west, West or South side of the building on elevated floor place. Then the entire remaining hospital building will be lower than this place. Reception counter is best towards Northeast corner of the hospital. Counters has to be placed towards Southwest corner or West or South directions. 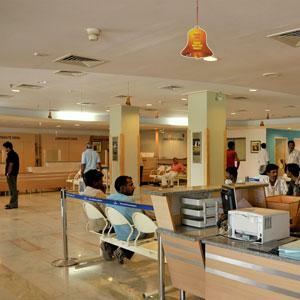 If Northeast reception could be in lower (floor) place, then management will be benefited. Store room for Medical apparatus : This room should be in the South West, West or South side only, store room should always be in a height or elevated than the common flooring of the main hospital. 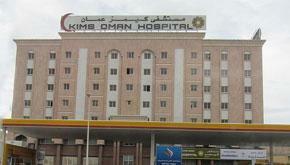 The emergency patients should be located in the South-west room for immediate healing. The beds should be arranged at correct places according to vastu shastra so that the patients place their heads in the South direction. Always head should be placed at the south direction, to get good vibrations and easy treatment process, immediate relief, if the patient gets to relax at the hospital from their health sufferings then they will be the main asset for the oral advertisement. The unit should be located in the South-west, South, west rooms only. Placed fixing the pooja room at Northeast corner & it should not disturb vastu at main building. Electrical Equipment's: Generator, Heaters etc., should be located in the South-east rooms. It is better to ask the vastu expert consultant before doing any alterations or modifications to your Nursing Homes for staff quarters, operation theater, clinical lab, X-ray machine placement etc. Operation Theater should be placed except Northeast (Ishan). Try to avoid it at Agneya (Southeast), Vayavya (Northwest) corners. 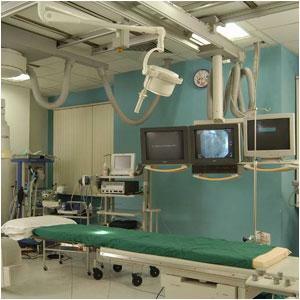 While doing operations at operation theaters the doctors should face East or North directions. Then operations will be quite easier and successful. The rate of success is more important to the hospital for the next visiting/coming patients, and further its free of cost in the mode of advertisement. In Southwest room the machinery or equipment should be placed at the South or West directions. The patients head should be at the South direction at the time of operation inside the operation theater. The necessary apparatus should be kept in the South or South-west or west side of the patients’ bed. Many times we hear the news that after operations are even under treatment a patient dies and the relatives of the patients accuse the doctor or the hospital of medical negligence and resort to physical assault on the hospital staff including the hospital premises and furniture and equipment. Maybe there is negligence and equally may not be. It cannot be conclusively establish that in any case it is only due to medical negligence. The assault on the hospital or the staff need not be only damage to the furniture equipment furniture etc, a public nuisance is created causing obstruction to other patients and staff by way of agitations, Dharna etc. In many cases group is gathered outside the hospital causing public nuisance on the roads too. Causing such disturbances many times the doctors though genuine and helpful are put to loss of reputation and shame, is this not unfortunate?. What would be the cause for the patients relatives to get agitated and takes to such extreme measures. It is quite possible that non compliance of vastu principles could be a cause. In fact often it is so. Most of the doctors are dedicated professionals they consider their profession as service to humanity, we are not referring to those situations where medical profession has become a commercial entity. Even when the doctor is an atheist in hospital his performance and his service are highest moral standards. What was the wrong in hospitals, why patients were so angry, doing agitations, assault hospital staff?, what exact mistake needs to be discovered here, is Doctor is incapable, is doctor is wantonly doing such failure operations, is doctor is not Government certified, is doctor is not expert in doing operations or any other thing which is creating of such negativity to the hospitals and doctors, there may be a possibility of vastu dosh. This is "East facing hospital", in this hospital the medical shop has to be came towards Southeast. Some may raise the doubt that the Southeast is not good to have any concerns, but here, the main source of doing services/business is Hospital not the medical store. Hospital management should not plan Medical shop or Pharmacy towards Northeast corner. By constructing the Pharmacy at Northeast corner is not the good idea. Instead of constructing at Northeast, better to construct at Southeast. If management requires to setup pharmacy inner ares of the hospital then they may use the Southeast for their other purposes. In some hospitals the medical store is run by hospital management only and they kept the pharmacy at Northeast and there is no any walls or wooden partition in between medical store and hospital, at that moment they may plan it towards Northeast otherwise don't plan the Medical store at Northeast corner. 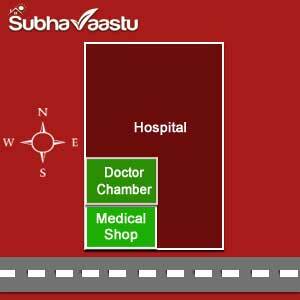 Before planning the medical store area at hospitals some body are asking the doubt by calling to the vastu consultants and taking their opinion, if you are also following such procedure then inform every thing to the Vastu Consultant. Forget things may not compensate your efforts in getting profits/peace. One has to be more careful before planning the hospital construction or placing the partition in the name of Medical Store. This is "South facing Hospital", here Medical store may be planned towards Southeast, doctor main chamber has to be planned towards Southwest. In between doctor's chamber which was placed towards Southwest and medical store which was planned at Southeast the main entrance door to the hospital has to be placed, with this placement the main entrance to this property has to come towards South direction. Please note that to do all these things, we should count the measurement of the entire building and there after only has to decide placement of the door. Blind decision spoils the entire enterprise. 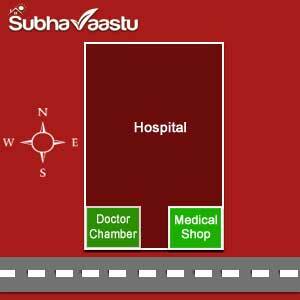 There is many ideas to follow as per vastu, here we may plan like this way too, doctor chamber at Southwest and there after medical shop will come immediately towards East direction to the doctor chamber and the main entrance door will follows then. But this plan should not be suitable to every property, it has to be perfectly planned with one of the best vastu expert who has to visit the property and has to taken the measurements and then implement the ideas there. If there is no chance to plan as shown above (Doctor chamber at Southwest and medical store at Southeast) then here is another idea to think on it. 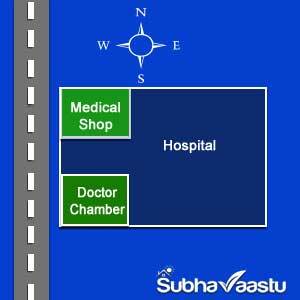 The medical store has to come at Southwest and immediately doctor chamber be placed inside the hospital. This is also an idea, but it has to be clearly verify and then only fix to one thought to amend. One should not take the blind decision without experts advise. Again we are clearly mentioning here, these images are not as per scale, these shown images are only for the understanding purpose. This is "West facing hospital". Medical Pharmacy was planned at Southwest and thereafter immediately the doctor chamber was came, with this, doctor chamber will have more East open space or accessible area and North also will have good accessibility to reach hospice. The main entrance to the hospital will be planned towards either West or Northwest-west based on space availability and convenience. These images are shown here only for the understanding purpose, these are not prepared as per scale. If its not possible to plan as said above, it may be another way to plan as shown in this image. Here doctor chamber placed towards Southwest and medical store came towards Southeast corner. In between these two the main entrance will fixed at West direction. No doubt the construction of the hospital is to serve society for health disorders and livelihood for the doctors. 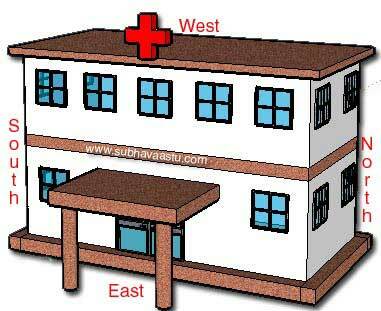 If vastu is good then sanatorium of the patients will also be good. Once good talk was came to the hospital automatically income will improves/double and management enjoy peace. Health of the patients has to be improved then public will discuss about sanitarium as one of the best. This is "North Facing Hospital", the medical shop was came towards Northwest and the main entrance door will come towards Northeast or North based on convenient of the hospital and other things. Northeast medical store is not recommended for this property. If already Northeast medical store is built then management has to do some corrections to nullify the negativity. Please note that all the above images are useful for the hospital management. 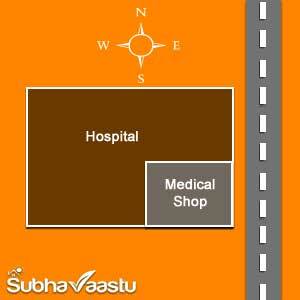 For medical shop the shop keeper has to arrange the door to his chamber as per vastu shastra. Otherwise, he may be in trouble with doctor or suffering with lack of business. This property has the Southeast-east street focus, which leads many troubles to this property. Don't ask us where is the location of this hospital, it is in South India. Every year almost 3 or 4 major bad incidents are happening in this hospital. This hospice came into news papers and news channels many times, finally this property got a name that fraudulent Hospital. Before opening this Nursing home an expert vastu specialist came and clearly told them don't plan any Nursing home, but no body heard what did he wish to say. No doubt this property is cruelly hitting the genuine doctors with bad name, unfortunately doctors cannot vacate this property, due to many reasons. Some directors are accepting some of directors are not accepting to vacate this property. The structure is like such a way. Huge property and infrastructure is excellently arranged. 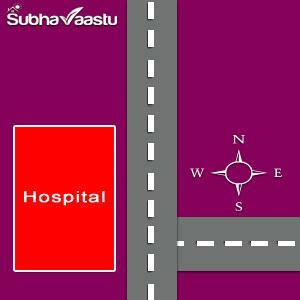 Surroundings vastu is too important for the hospital property. If this neighborhood vastu supports then hospital will get succeeded and doctors will also enjoy their profession. Doctor means the royal profession, they should not met with any quarrels, arguments, bickering with patients. They need peaceful life. 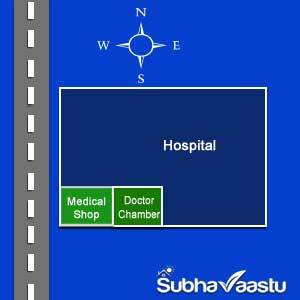 Regarding super specialty hospitals without observing the surroundings vastu don't start constructing the property. We observed some properties without having surroundings vastu, they lost reputation in the society, some hospitals does not have site with good measurements, either corners or directions will increases and it requires to do the corrections for the properties, but the management never approaches though they have knowledge on vaastu shastra. After getting losses or other negative effects spoiled the entire system, then only they are interested to approach vastu consultants. This trend has to be changed first, otherwise the expert vastu specialist also cannot do any thing. Because of the time in getting vastu results. 1. If vastu is good for the property then every direction is good (we are not stating of the skewed properties) for keeping the main entrance door. Some body asking doubt that only Northeast-east door is must for the East facing Hospital. No, not at all, one may plan to provide East main entrance door for the East Facing Hospital, this East main entrance door also auspicious to these kinds of properties. If there is any other external problems, for example, if there is heavy tree exactly in front of the East exactly then move the main door towards Northeast. Otherwise one may plan for East Facing main entrance door. But don't plan the door towards Southeast place instead of Northeast, Southeast door creates lots of problems to these kind of Clinics. Doctor will be restless and can't be happy in such properties and bickering with patients and their relatives, disputes and brawl may also happening in such properties, that is why we are not recommending door towards Southeast-east. Vociferous situations in the premises is awful and atrocious. Doctor profession is a royal profession, every doctor wishes to have good name in the society and on the same way they are looking for financial growth. Vastu properties fulfill their wishes. Non Compliance vastu properties may leads to dreadful and unacceptable situations. 2. For North facing properties the main entrance door may be suitably fix at North direction. Please note that this would be suitably fit only if the property is 90°, otherwise best to place the main entrance door at Northeast-north and further if there is any other external objectionable exact trees or transformers at North direction then plan to move that main entrance door to Northeast areas. At any cost don't plan the main entrance door towards Northwest-north, this may leads to unhappy, litigation, income may slowly decreases, bank loans or debts may not be cleared easily, issues with accounts also observed in with such main Northern Northwest door. 3. For West facing hospitals doctors may plan to keep the main entrance door towards West direction, if there is any other problems then they may move the door towards Northwest. But don't plan the main entrance door towards Western Southwest location. If the main entrance door came towards Southwest-west then doctor cannot get good name, defame, patients never get well soon in such properties. In such properties if the doctor is sitting at North direction and there is no any open space towards North direction then he may always trouble with many problems. For happy leading hospital attraction in terms of Vastu, the main entrance would be towards West and doctor has to occupy the Southwest room as his clinic and Northeast room has to be keep for pooja room or meditation room or it should not be occupied by any other things. If there is no spacious rooms available then patients also can be sit at Northeast room. 4. For South facing hospitals, plan the main entrance door towards South direction, if there is any problem then door may be moved towards Southeast, but don't move the main entrance door towards Southwest direction, this may leads to financial problems or health issues in terms of patients never be treated easily and doctor won't get name in such properties. Please note that the logic here. Some times the anti placement of doors can provide unbelievable good results and finally it may hurt the management. As per vastu, in a big compound premises the nursing home is constructed at North direction and huge open space came into South direction, the main entrance gate is towards Southwest-south. Any vastu consultant can easily said that the property is worse and cannot make management happier. But surprisingly this property got a wonderful name to the management and given 100% financial support in terms of huge patients queues. How it is possible, its very simple technique, standard gazebo was built at Southwest corner. Except this the place owner never accept for any change to the property. A simple tip will enhance the opportunities to the property. Unfortunately, many doctors/management never approaches expert vastu consultants, they themselves trying to solve the issues by reading some vastu books or vastu websites. Its their fate, nothing else. Lucky people never do like such practices, they will first call an expert and trying to solve the problems. Doctor tries to solve the health problems, he cannot give guarantee. Is it right?, the same way vastu consultant also tries to solve the issues there, he cannot give guarantee. Both may be coincidence but its true. Color Peel off walls indicates the future losses. Chief Doctor chamber should not be built at Northwest or Southeast portion of the building. Main Doctor or Hospital Chairman (Active Chairman, not sleeping partner) chamber should be planned at Southwest corner or West or South quadrant. Generally Chief Doctor chamber should not be planned at Northeast, North or East placements, but some times this may also giving very good results if this building is West facing or South facing and having very huge backyard space. Maintaining the nursing home outside with greenery brings good luck to the property. Good lighting is required in the hospital. Well ventilation is most healthy to the property and patients even doctors and staff too. Where ever the trees are there in the compound premises don't cut them in the name of Vastu. Trees are originally most helpful here. Don't try to avail online vastu consultation, it may finally harm to the consultancy. Doctors also never accepts online treatment, why... same principle also applies with vastu shastra consultancy. We came across many incidences, later we will publish such experiences here. We never disclose such HOSPITAL NAME OR DOCTOR NAME HERE. We respect their privacy and respects in society. We secure their name. How vastu shastra works in USA? Where should we keep pooja Mandir? Vastu consultant in California, need help? Does vastu corrections compulsory in uk? Is Street Focus properties are good to buy? 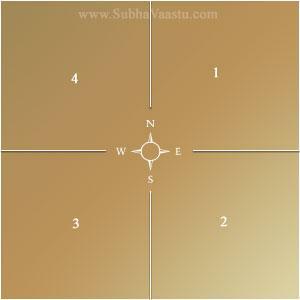 Vastu consultant in Delhi, how to contact them? Northeast-north Street Focus house is good to buy? According to Horoscope which facing house is good? Vastu consultant in Chicago, need vastu shastra service?